Even though we arrived just a short time ago, the action is in full swing at Laurel South! After our annual Moosestomp Day, we were knee-deep into full program. We had our first rotation of “A” and “B’” Days, and we can’t wait for our first in-camp “S” Day!!! Tomorrow, our 8th Graders head out to Acadia National Park for an awesome camping trip…our CIT’s are getting ready for their exhilarating White Water Rafting experience…Intercamp games and Tournaments have begun and, of course, the sun is shining. It’s a beautiful day in the state of Maine!!! This entry was posted in Uncategorized on July 26, 2011 by Camp Laurel South. Another Amazing Laurel South season has begun!!! After an incredible First Session, we were excited as could be to greet our wonderful new and returning campers for Second Session. Thursday was Arrival Day, and what a day it was. Campers arrived in cars, buses and planes from all over the United states and the world until, finally, we were reunited on the shores of Crescent Lake! After an awesome Cookout Dinner, each campus headed out for their own active Evening Program. Friday is Moose Stomp Day. Schedules will be created, bumper tube rides will be given, auditions for the two camp musicals will take place as well of a host of other activities. Of course, the best part of the day will be spending time with old friends and meeting new ones. The day will be capped off by our Opening Ceremony Council Fire celebrating fun and friendship. Saturday programming will begin and the summer is on!!! Oh what a beautiful day in the state of Maine!!! This entry was posted in Uncategorized on July 22, 2011 by Camp Laurel South. Tuesday night was one of the best nights of the summer….our First Moosebowl!!! This exciting football game between the Rattlesnakes and the Black Bears of Rangeley became far more than just a game. It was an event to match the Super Bowl! While the two teams battled it out on the field, we tailgated, had balloon animals, tee shirt slingshots, dancing, singing, half time contests and more. In the end, the Black Bears prevailed 18-13, and the men of Rangeley all felt victorious knowing they were the pioneers of a game which will only grow in stature for years to come!!! Wednesday was our first ever Laurel South Invitational 5-K, as friends from many camps arrived to race the fastest campers Laurel South has to offer. We all enjoyed ourselves and raced admirably. Thursday we headed to Funtown for our final incredible “S” Day of the Session. We are down to our final “A” and “B” day of the season and busy preparing for our Dance and Gymnastic Shows. Where did the time go? This entry was posted in Uncategorized on July 15, 2011 by Camp Laurel South. This entry was posted in Uncategorized on July 13, 2011 by Camp Laurel South. If you know Camp Laurel or Laurel South, you’re familiar with Mount Vernon or Casco. You might think of them as way stations on your way to or from camp – but they’re much more than that. Mount Vernon is a gem in the Kennebec River valley. The tiny beach next to the community center; the former church with Victorian stick-work; the 200-year-old gristmill; the brick general store selling everything you could possibly think of (from bait to pesto) – all make it worth more than drive-through on the way somewhere else. Filled with artists, writers, educators, farmers and retirees, it’s got a quirky, eclectic but very real community feel. It’s also got plenty of history. Elizabeth Arden built a health spa here. Her guests included Eleanor Roosevelt, Judy Garland and Ava Gardner. Mount Vernon has a “hippie sensibility” – really a spirit of independence and self-reliance – that dates back to the 1700s, Downeast Magazine has written. With only 1,500 residents – along with moose, deer and bald eagles — the town packs a lot into its hilltop meadows, wooded valleys, ponds and lakes. 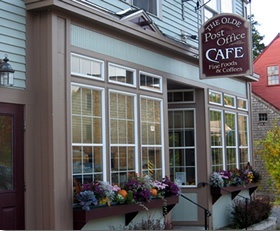 If you have time for only one thing in Mount Vernon, head to the Olde Post Office Café. It’s the unofficial town center for breakfast or lunch. You won’t regret it. Casco, in the Sebago Lakes Region, also dates its founding to the 1700s. It too was a mill town. 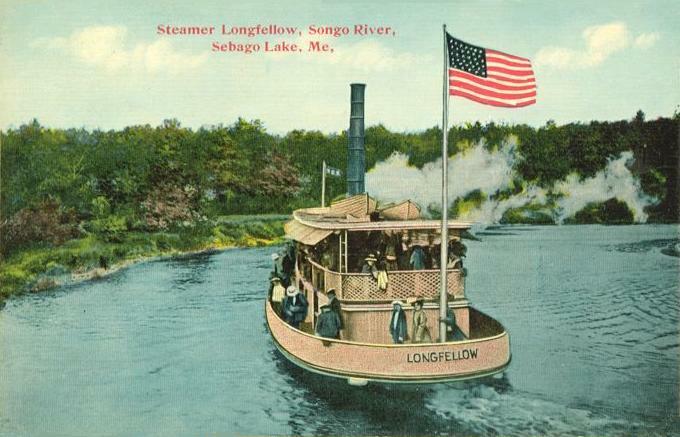 In the 1840s, steamboats on Sebago Lake and the canals carried tourists and freight. The lake – since 1938, part of a state park – helps shape the town’s character, and provides plenty of recreational opportunities. Point Sebago Resort offers many of the amenities of Laurel South (for those who are not of camp age), while the town itself – about the same size as Mount Vernon – has a variety of good restaurants. One of our favorite stops is Webbs Mills Variety just down the road from camp. It’s meatloaf sandwich is a favorite. And how about Crescent Lake? It is truly one of southern Maine’s most beautiful. There’s really nothing like it. 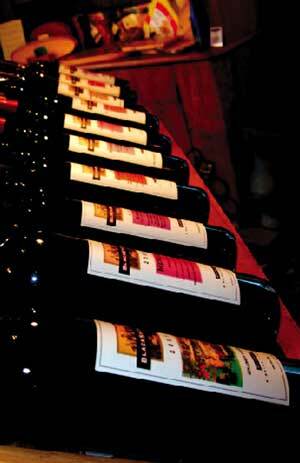 You also can’t leave Casco without a quick stop at Blacksmiths Winery for a sip on the famous Porch or in the Tasting Room. Casco’s not far from Portland – providing a nice counterpart to city and ocean tourism for anyone heading back and forth from Laurel South. So, join us at camp this summer for a visit…and get a taste of the local color in Mt Vernon or Casco. This entry was posted in Uncategorized on July 9, 2011 by Camp Laurel South.